Those suffering from cataracts experience a clouding of the natural lens inside the eye. 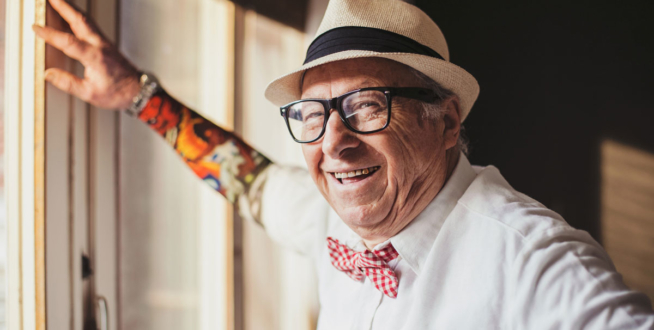 The condition is very common and often inevitable as you age, with 60% of the population experiencing the visual complication as they reach their 60s. Cataracts are a common visual problem. Often developing very gradually, the natural crystalline lens becomes clouded, causing vision to become misty. It the most common cause of vision loss in the world. The word “cataract” comes from the Greek word “Cataracti” which means waterfall. The lens can take on this appearance when the condition is quite advanced. The clouding of the natural lens of the eye affects us all as we age. Some of us develop this condition earlier than others but with all of us now living longer, unfortunately this has become one of life’s inevitabilities. 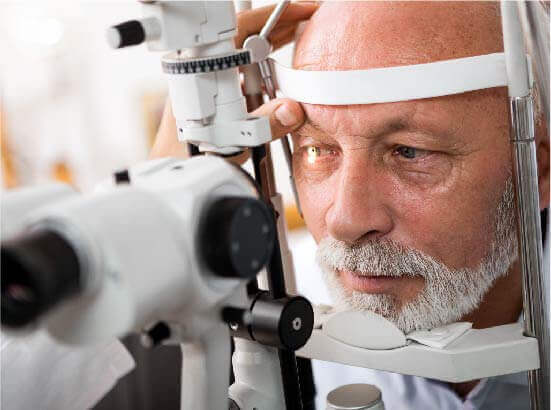 Fortunately it is treatable, and advances in cataracts treatment mean that the problem can be treated very effectively with a simple and safe procedure. The lens of each eye needs to be clear in order for your eyes to work properly, so cloudy lenses adversely affect your vision. In a normal eye, the clear lens allows light to reach the retina at the back of the eye, which then communicates with the brain via the optic nerve – this is how we see. However, with a cataract, less light can reach the retina, so your vision is affected. As well as getting older, there are other factors that contribute to the likelihood of developing cataracts. The only way to treat cataracts is through the surgical removal of the cloudy protein within the natural lens. There is no way to reverse or “cure” a cataract. 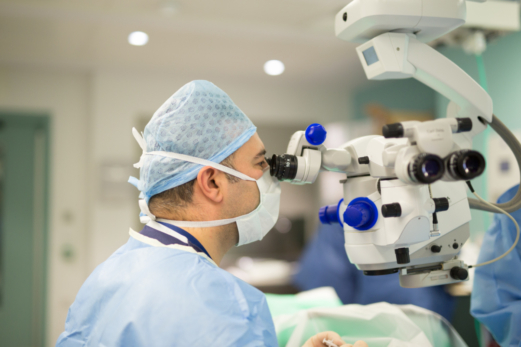 Cataract surgery is a very successful treatment option and is the most commonly performed procedure in the UK with over 300,000 surgeries being performed every year. The surgery takes around 30 minutes, and is performed as a day case under local anesthetic in most cases. An ultrasound probe is used to gently break up and remove the cloudy protein from the natural lens, preparing the eye for an artificial lens to be inserted. Additionally, it is now possible to remove the cataracts using Femtosecond Laser Cataract Surgery. his new generation of cataract surgery uses a special type of laser to help remove the cataract, without the need for blades. The laser, known as a femtosecond laser, is programmed to make a precise incision in exactly the right place within the cornea and lens. The cataract is then broken up using the femtosecond laser instead of an old style ultrasonic device. Very rarely there is a complication associated with surgery called posterior capsule opacification (PCO). This causes vision to become cloudy due to the formation of a membrane over the new lens. However, this can be treated using a special type of laser which removes the membrane. Despite this, it remains one of the safest surgical procedures in modern surgery and all of these complications will be discussed in detail prior to any treatment. What can you expect after cataract surgery? Cataract surgery is a safe and effective way to restore vision and serious complications are very rare. A national statistic shows that 97% of cataract surgery patients enjoy improved vision with no complications, however at Ophthalmic Consultants of London our success rate is 99.5%. 85% of our patients have better than 20/20 vision one month on from the procedure (the national average is 51%), and 100% of our patients have better than 20/40 vision (the legal driving standard) one month on from the procedure. 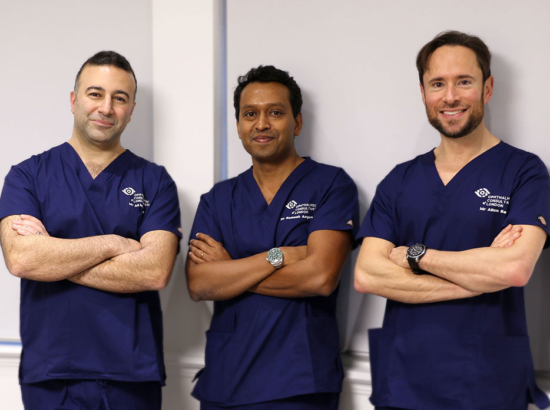 In 2018, OCL surgeons, Allon Barsam, Romesh Angunawela and Ali Mearza were voted by their peers as some of the UK’s best cataract surgeons following a National survey of eye surgeons by the Daily Mail. They are regularly consulted by industry and feature on advisory boards for new technologies. 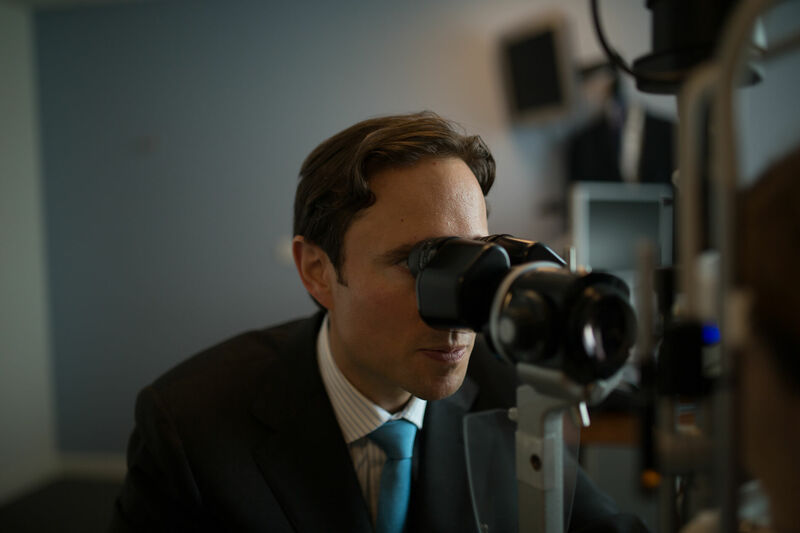 It’s a testament to our surgeons that we’re trusted the world over to test and use new technology, and that we’re involved in pushing lens and laser eye surgery to exciting new possibilities. 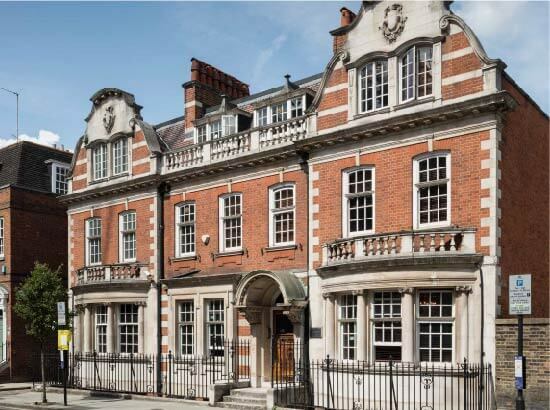 All surgeons have been dual fellowship trained at centres of excellence in London and internationally. Bespoke treatment plan tailored directly by your surgeon with comprehensive aftercare and support.